Beyer Carpet Cleaning only use non-toxic safe cleaning products when it comes to carpet cleaning. The products we use are top of the line name brand products. We do not use cheap chemicals that could be harmful to you, your family, your pets, or our environment. Non-toxic safe cleaning products are just as effective during carpet cleanings and you won’t have to worry about what is in your carpets when we are done. If a carpet cleaner is using shampoo or chemicals be sure to ask if they are safe for your family. Many say that they are using non-toxic safe cleaning products but they are not! Always ask questions and know what will be used in your home. The same non-toxic safe cleaning product that we use on your carpets we use on your upholstery. From mattresses to sofas to rugs to car interiors we use non-toxic safe cleaning products. Once we are done cleaning you can walk on the damp carpets without worrying about your family or pets stepping on the carpets. 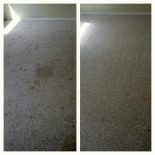 Beyer Carpet Cleaning San Antonio is about delivering the best service with the best and safest products. Beyer Carpet Cleaning is reliable and on-time. Our products are not the only safe thing we use. Beyer Carpet Cleaning reassures that we will only send safe, background checked technicians to your home. We do not want to risk your safety at any means. 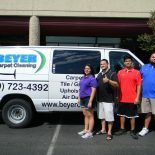 Beyer Carpet Cleaning looks out for the best interest of our customers and our company name. Safe and reliable companies are hard to find these days. Beyer Carpet Cleaning San Antonio wants you to know you can use us without headaches, worry, or stress. Beyer Carpet Cleaning are the experts when it comes to using non-toxic safe cleaning products, providing safe and reliable technicians, and the safety of our customers. Call Beyer Carpet Cleaning San Antonio for all your carpet cleaning, tile and grout cleaning, and upholstery cleaning needs.